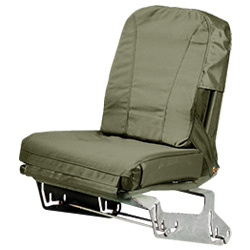 The Oregon Aero Seat Cushion System for the High Mobility Multipurpose Wheeled Vehicle (HMMWV — HUMVEE® Vehicle) is energy-absorbing, pain-free, and durable. 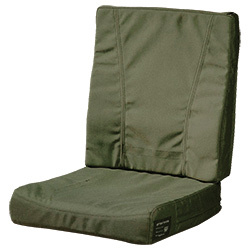 Users consistently give the cushions top evaluations. 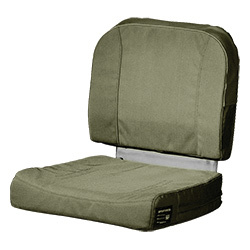 The front passenger seat cushion features an internal thermal barrier and external foil-faced reflector to keep heat from the battery box out of the seat cushion and away from the passenger.